Messy bun, PJs, no make up, the cliché reasons we like to not have to get out of the car for groceries! 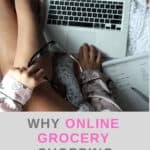 There is actually way more to making your groceries online! It changed my weekends. As a working mom of 2, it simplified my life so much. Check your fridge, pantry and freezer: What can you use for your meals this week and what do you need? You won’t buy an item anymore just because you have a doubt if you have it at home or not. You can check your kitchen any time during your shopping ‘trip’. Making a menu and a proper list is a no brainer when it comes to staying within your budget. No impulse buy: You won’t buy an item because it’s on sale and right there calling your name or almost jumping in your card. Respect your list & your budget: You can see how much your cart is worth and stay aware of your spending. One less chore: Whether you are a parent or not, our chore list is quite lengthy and making it shorter is always a great idea! Parent life: Weekends fly by and after laundry, cleaning and homework, I’m glad shopping has been covered and just require a pick up. You can focus on what matters! It’s cliché I know. However, since I became a Mom, a quote that sticks with me is “The days might be long but the years fly by”. Whenever it’s convenient for you: ”Add butter to the list” Done. You open your computer and leave the tab open. 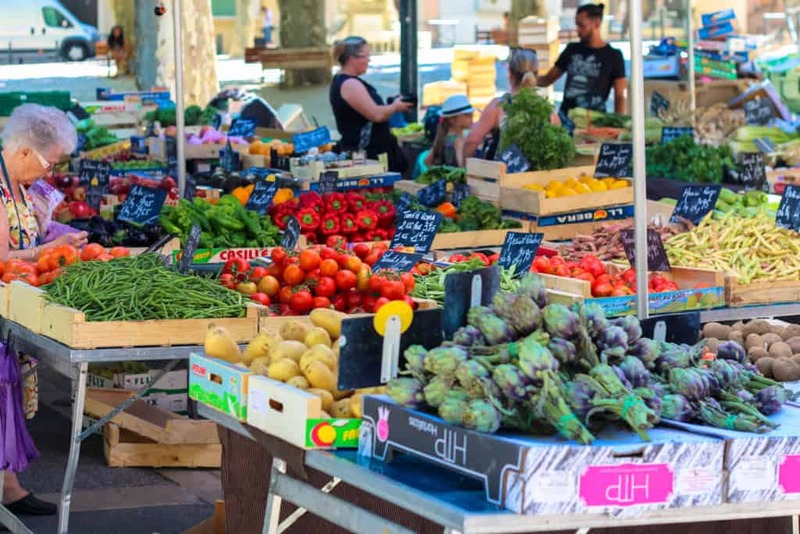 Not going to the grocery store to shop will save you a good 2 hours a week. Quick process: I personally use Superstore (this is not a sponsored post) and my previous list and frequent items are offered as I open my account. BAM! Already half of the list is covered! I actually also enjoy shopping, it also a source of inspiration but for this season of my life, this works best for me. What about you? How do you do your grocery shopping? Have you been hesitant to make them online? – I bring my OWN bags! If you use my referral link you will save $10 on your first order! I’m in love with on-line grocery shopping! For all the reasons you mention. Great post! Online grocery shopping is the best! One of the things I was worried about when I was first considering it was the quality of the produce I would receive. Not a problem at all! They always select the best fruit and veggies for me. A real time and money-saver! Hi Elaine, I was also reluctant at first too because I like to choose my produce but I gave it a try and never looked back! Yes! I haven’t made a habit of online grocery shopping but I love the point of not wasting because you can’t remember what’s in your fridge and of avoiding the impulse buys! Excellent points, I may try to make this a new habit.